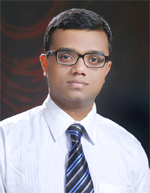 Ashwin Madhavan is Co-founder and Director of Enhelion Knowledge Ventures Pvt. Ltd., heading the Strategic Alliances and Operations team. He is also a lawyer at Scriboard—Advocates and Legal Consultants, where he advises clients on intellectual property, management, and information technology issues. He completed his law from Gujarat National Law University and an LLM in Technology Laws and Intellectual Property Laws from Dalhousie University, Canada. He is a founding member of Enhelion. His areas of expertise are domain names and cyber squatting, trademarks, copyrights, and information technology laws. He is a former member of the Canadian Bar Association. He has advised various Fortune 500 companies on various aspects of India’s technology and IP laws. He has written several articles for various journals, national, and international publications. He was a member of the Editorial Board of Journal of Legal Research, GNLU, and also a member of Law Wire’s Editorial Board.